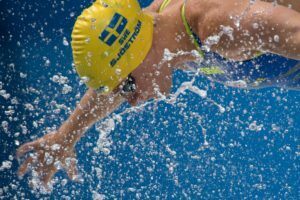 The Sarah Sjostrom Show continues in Moscow, as the Swede nailed her 2nd SCM world record in as many days. As with day 1, tonight in Moscow was highlighted by an incredible short course World Record by the on-fire Swede, Sarah Sjostrom. 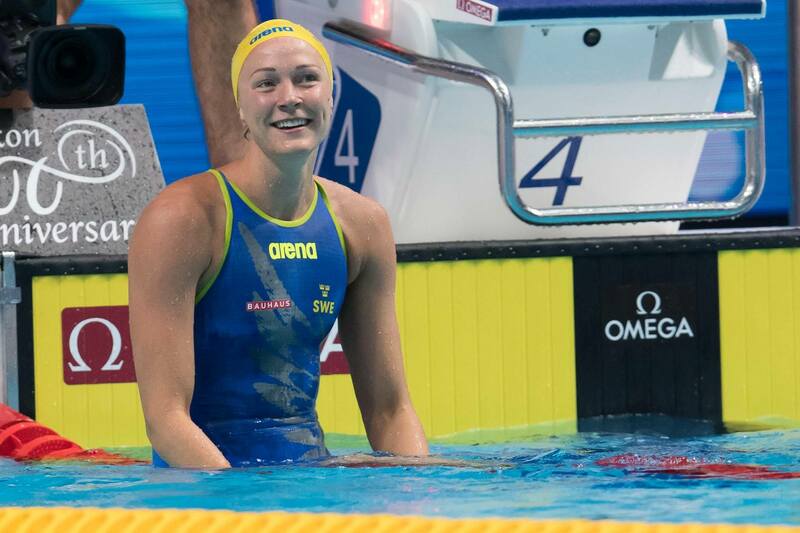 After already taking down the 50m freestyle WR in yesterday’s finals, tonight the 100m mark bit the dust, courtesy of Sjostrom’s wicked-fast 50.77. 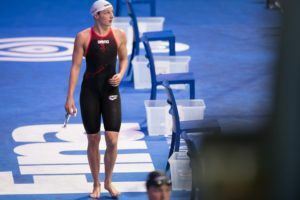 The 23-year-old now holds an amazing 8 world records across short course and long course and has further cemented herself as the current queen of speed worldwide. 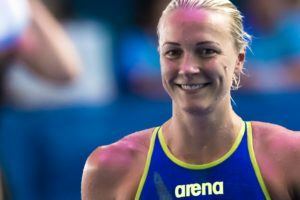 All eyes were on Sjostrom once again during the women’s 100m butterfly event at the end of the session, watching closely to see if the Swede could do it again. Still speedy, Sjostrom took the win in 55.70, well-off her own WR of 54.61 from the 2014 World Championships, but enough to earn the victory by well over a second. As mentioned in our prelims recap, Hungary’s Katinka Hosszu was limited to just one event today, given FINA’s new rules limiting athletes to 4 events per leg. After already collecting gold in the 100m back and 100m IM, along with a silver in the 200m butterfly yesterday, Hosszu comfortably nailed the 200m IM top prize tonight. 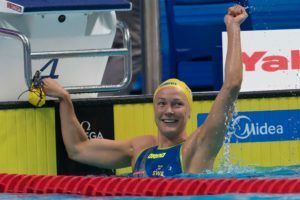 Winning by just about 3 seconds of Aussie Emily Seebohm, Hosszu clocked a gold medal-garnering time of 2:04.76 to claim more cash. Vlad Morozov of host nation Russia raced in just the 100m IM during this morning’s prelims, yet saw himself granted a lane in both the 100m breaststroke and 50m breaststroke due to the new FINA rule granting World Championships and Olympic medalists automatic final slotting. Morozov took the men’s 100m IM in a time of 51.04, well-off his own WR of 50.30 from last summer, but enough to clock just one of 3 51-point outings in the field. Silver went to countryman Sergei Fesikov in 51.78, while Hong Kong’s Kenneth To, formerly of Australia, took bronze in 51.97. The next event of the men’s 50m freestyle also saw Morozov snag gold, nabbing the only sub-21 second time of the pack. Touching in 20.93, Morozov’s nearest competitor in the race was Pawel Juraszek, who touched in 21.25 for silver. Morozov didn’t fare as well in the breaststroke race, however, falling down to 4th place in a time of 57.95. The winner was South African Cameron van der Burgh, who clocked 56.30 for first place. That performance actually checks-in as the 8th fastest SCM performance in the event in history. Denmark’s Rikke Pedersen clocked 2:19.84 to win the women’s 200m breaststroke. The men’s 400m freestyle saw Russia’s red-hot Aleksandr Krasnykh take gold in the 400m free in 3:38.55. Krasnykh was a surprise bronze medalist in the men’s 200m freestyle race in Budapest. Poland’s Radoslaw Kawecki snagged the 200m backstroke victory in a mark of 1:48.96. 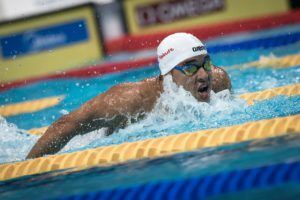 The 200m butterfly winner in Budapest, South Africa’s Chad Le Clos, collected the 50m butterfly win here in a time of 22.31. Spain’s Miriea Belmonte added to her hardware from yesterday with a gold in the 800m free today. The Spaniard touched the wall in a time of 8:07.10, winning by over 10 seconds. Does the world championship medal thing extend to short course worlds?